John and I continued with our veldgrass removal this morning. 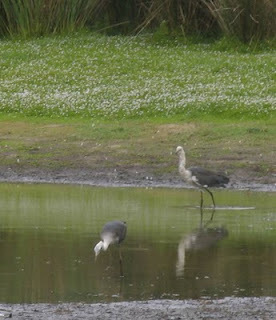 On the way home I stopped at Lake Jualbup and observed a number of visitors to the drying lake: Pacific Heron, Sacred Ibis, Yellow-billed spoonbill, and Black-winged stilt. 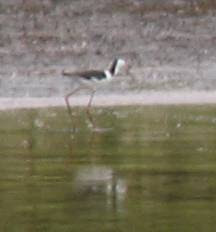 My apologies for the poor quality of the photos - they were a bit too far away for hand-held photography. 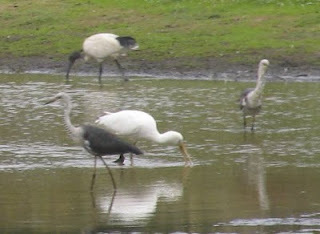 Pacific heron, Sacred Ibis, and Yellow-billed spoonbill.